Being a nurse or a carer is not a job – it’s a vocation. It can provide you with tremendous job satisfaction and also flexibility. But you need to be the right kind of person; genuinely caring, respectful, patient and interested in people – particularly in elderly people and the lives they have led. They have lots of memories and stories to tell, and most love the opportunity to reminisce. Here at Iden Manor we pride ourselves on having the very best nurses and carers who put our residents at the heart of everything we do. Our commitment to excellence, favourable employment terms and – arguably above everything else – sense of extended family which runs very deep, all encourage a good team spirit and it is clear that our staff enjoy working here. As a result, retention and absence levels are consistently below the national average – which speaks volumes. 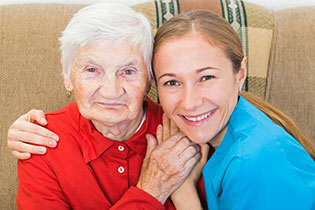 Either as a nurse or a carer, which may have involved looking after dependent relatives. Babysitting and volunteering experience is also useful. In reality though, if you really want to be a carer and we see in you the right attitude then we can train you in the skills needed to deliver excellent care, and set you up in a career with lifelong oppurtunities. All our nurses must be NMC registered. For carers or health care assistants, formal qualifications are not essential as training will be given. Cheerful, positive, patient, encouraging, happy, enthusiastic – we don’t bring our problems into work with us! Iden Manor enjoys excellent staff retention because we value the hard work of our staff and we value their contribution to strive for ecellence in all that we do. Including person-centred care; health and safety; moving and handling; safeguarding people from abuse, equality and diversity; dignity and compassion; food safety and infection control medication management, information governance and other training to support your skills in your chosen role. Part time temporary contract chef to work 20 hours week a week over two days £9.50ph to £10.50ph for minimum of 3 months but may be longer. Additional hours to cover annual leave and absence will be available. 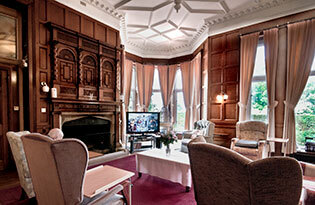 You are always welcome to pop into Iden Manor to visit the Home and drop off your application in person. It does take a very special person to be a nurse, carer or work in a care setting and not everyone has the qualities needed. It can be physically and emotionally demanding, but it can also be an incredibly rewarding career on so many levels. If you think you have the qualities needed to be an Iden Manor nurse,carer or support staff and you believe that you could thrive in the environment described here, then we would love to hear from you.